Each year, the Robb Report, a magazine that helps the super wealthy make those important and difficult purchase decisions like which yacht or expensive timepiece to buy, chooses its "Best of the Best" new cars. When money's not a problem and garage space is the only limiting factor, these are the cars with which to fill those precious parking spaces. 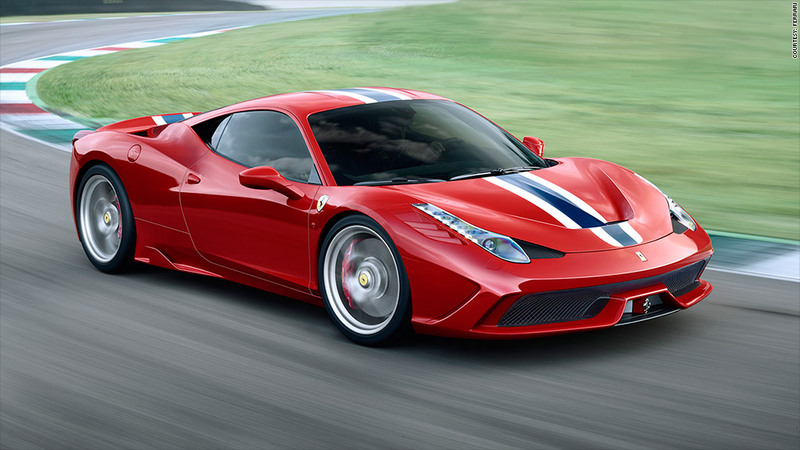 Among sports cars, the glorious Ferrari 458 Speciale beat out cars like the Chevrolet Corvette Stingray Z51, Porsche 911 GT3, and Porsche 911 Turbo S. The 458 Speciale is the car for when a 458 Italia just isn't "special" enough. This car pulls 596 horsepower from the 4.8-liter engine mounted behind the seats and this is without resorting to turbocharges or superchargers. That means there's nothing to get in the way of the wonderful Ferrari sound as the engine wails all the way to 9,000 rpm. Changes to the exhaust system make the symphony even clearer. The automatic transmissions is tuned for quicker gear shifts while the body has been made even lighter than the 458 Italia's.